Home Tags Posts tagged with "Godefroid Niyombare"
Burundi’s President Pierre Nkurunziza has decided to sack three cabinet ministers, as protests resumed after last week’s coup attempt. His spokesman denied that the dismissal of the defense, external relations and trade ministers was linked to the failed coup. Soldiers fired in the air to disperse protests against President Pierre Nkurunziza running for a third term in elections due next month. Pierre Nkurunziza returned from Tanzania last week after the unrest. The sacked ministers’ replacements have already been appointed, including Emmanuel Ntahomvukiye as defense minister. On May 18, soldiers fire live rounds in the as protesters chanted for President Pierre Nkurunziza to drop his plans to seek a third term in elections. Some businesses were closed and activities stopped in the Nyakabiga, Musaga and Mutakura neighborhoods of Bujumbura. Several alleged leaders of the coup attempt have been arrested but Gen. Godefroid Niyombare, who announced it in a radio broadcast, remains on the run. Pierre Nkurunziza made his first official appearance in front of international media since returning from Tanzania on May 17. He said nothing about the coup plot or the current crisis in the country. Instead, Pierre Nkurunziza said Burundi faced a specific threat from the Somali Islamist movement al-Shabab. Al-Shabab spokesman Sheikh Ali Mahamud Rage denied this, saying the statement was intended “to divert the world’s attention from him”. Burundi has troops fighting al-Shabab, as part of the African Union mission in Somalia. Three Burundian generals, who launched a failed coup against President Pierre Nkurunziza, have been arrested, reports say. Their leader, General Godefroid Niyombare, is still “on the run”, according to a presidential spokesman. President Pierre Nkurunziza has tweeted he is back home. He was in Tanzania when the coup attempt against his bid to seek a third term was launched. 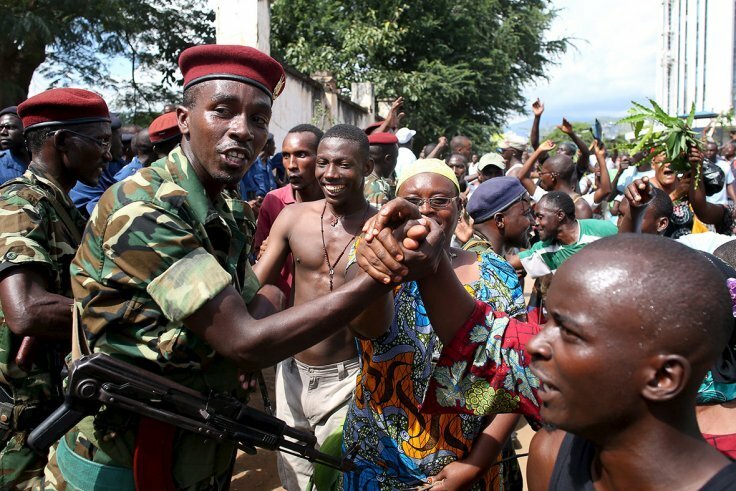 Five soldiers were killed in clashes in the capital, Bujumbura, on May 14. “We have decided to surrender,” Gen. Godefroid Niyombare told AFP. He added that troops loyal to President Pierre Nkurunziza were approaching him. Another of the renegade generals, Gen. Cyrille Ndayirukiye, admitted earlier that the attempt to overthrow the president had failed. Thousands celebrated on the streets of the capital after Gen. Godefroid Niyombare announced the takeover on national radio on May 13 whilst President Nkurunziza attended a summit in Tanzania. This followed weeks of protests against Pierre Nkurunziza’s decision to seek a third term in office, an apparently unconstitutional move, causing tens of thousands to flee Burundi. A coup took place in Burundi while President Pierre Nkurunziza was out of the country. Pierre Nkurunziza flew back from a summit in Tanzania, but the airport had been closed to stop him from landing. His plane reportedly returned to Tanzania. Heavy fighting has been taking place overnight between soldiers loyal to the president and those who back the coup. Confusion remains as to whether the coup has been successful or not. Burundi coup was announced by Maj. Gen. Godefroid Niyombare, a former intelligence chief and ally of the president who was dismissed in February, after Pierre Nkurunziza left for Tanzania on May 13. Thousands of people took to the streets to celebrate the announcement. His announcement came after a night of negotiations between Gen. Prime Niyongabo and the defense minister, who backs the coup. Factions loyal to each side began fighting each other for control of the national television and radio station, witnesses said. 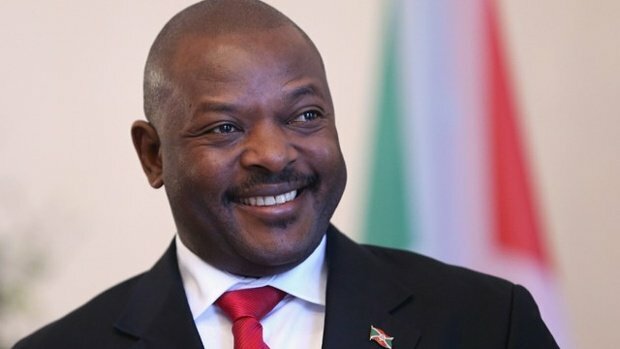 There has been mounting unrest in Burundi since President Pierre Nkurunziza, who came to power in 2005, announced he was seeking a third term in office – apparently in contravention of the constitution. Announcing the coup, Gen. Godefroid Niyombare said he did not recognize the leadership because the president’s bid for a third term violated the constitution. A few hours later the Burundi presidency dismissed the coup attempt, saying: “It is with regret that we have learned that a group from the armed forces mutinied this morning and declared an imaginary coup. Pierre Nkurunziza had been in Dar es Salaam to discuss the crisis with regional leaders. He flew back to Burundi upon learning of the coup, but the airport had been shut to prevent him landing, and so he had returned to Dar es Salaam. It is not clear if he remains there. The US and UN have appealed for calm. 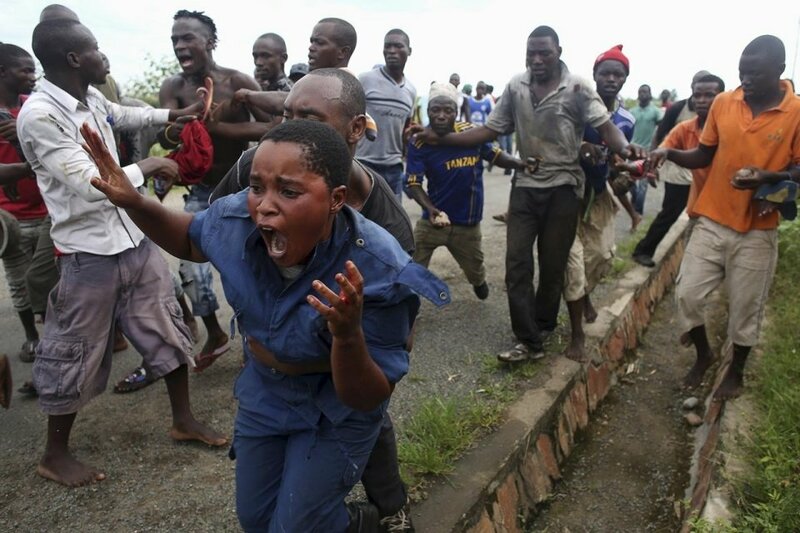 Burundi unrest began on April 26 and has led to the deaths of more than 20 people. Tens of thousands of Burundians have fled to neighboring states in recent weeks. President Pierre Nkurunziza has rejected calls to postpone next month’s election. However, the summit in Tanzania urged him to do so. Pierre Nkurunziza, a 51-year-old former rebel leader, argues that he is entitled to run for a third term because he was first appointed to the role by parliament in 2005. The Burundian constitution states a president should govern only for two terms, but earlier this month a court upheld Pierre Nkurunziza’s interpretation.